Robin joined ITTC in January 2004. She acts as a resource and primary liaison between KU/KUCR and ITTC principal investigators on all administrative issues related to research. Some of her duties include payroll, purchasing and budget management. Previously she worked for KUCR where many of her payroll duties included ITTC employees. 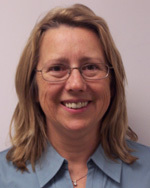 Her initial KU employment started in July, 1992 with the KU Payroll Department.